Hondata KPro 4 with 02-05 Honda Civic Si ECU Package. Includes HA Motorsports fully reconditioned and tested 02-05 Civic Si 'PNF' ECU with fully installed and tested new Hondata KPro 4 system. 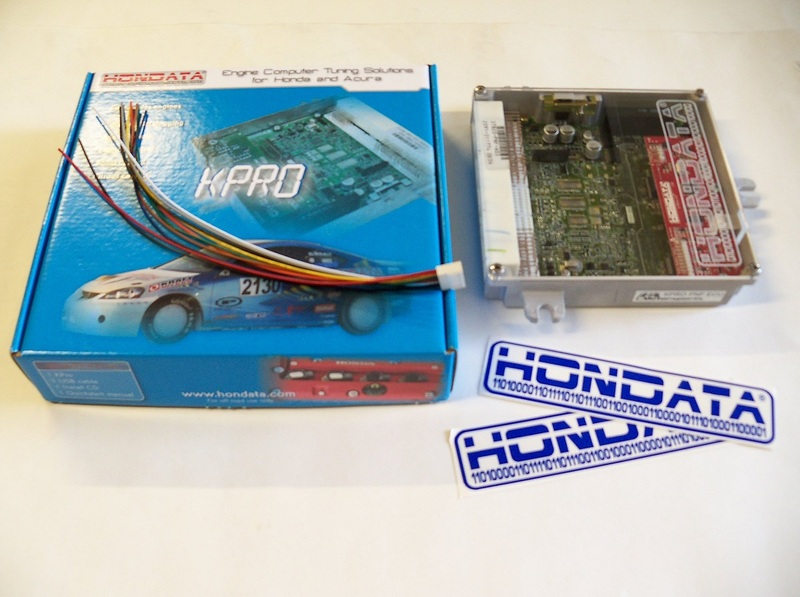 This is the most complete Kpro ECU package for use in the 2002-2005 Honda Civic Si hatchback. Easy, plug in installation - simply unbolt and unplug your stock Honda ECU, then plug-in and bolt this ECU in its place and begin tuning. FREE clear ECU cover with etched Hondata logo. Pigtail for connecting additional inputs/outputs for custom applications. New USB cable for connecting the ECU to your laptop for tuning. 90 day warranty against any manufacturing defects. Many basemap options included free within the software to get you up and running easily. What else do I need to use this ECU package? Laptop computer running on Windows XP, Vista, 7, or Windows 8 (must have atleast one available USB port). The Kmanager software will work on 32 and 64 bit systems. Internet connection for first time use to register your system. Can I use my stock ECU instead of purchasing a new one? Yes! 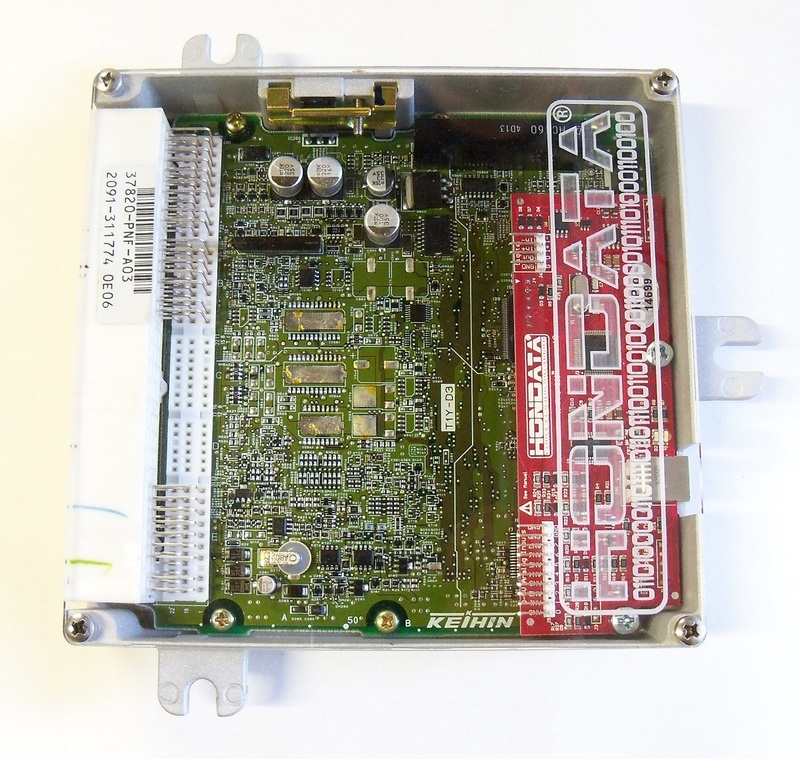 You can send your stock 02-05 Civic Si ECU to us and have the Hondata Kpro installed into it for you. For more information, click here.